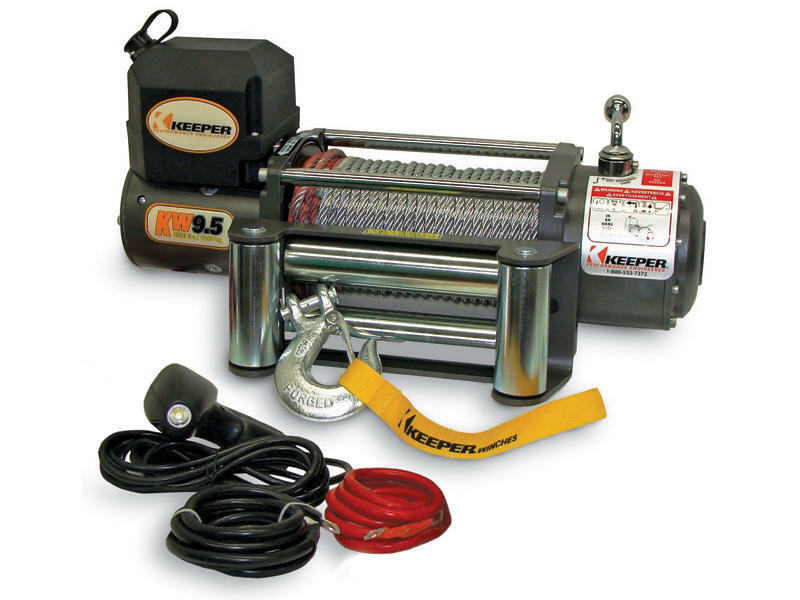 The KW9.5 is ideal for self-recovery and trailer recovery. It is packed with features essential for efficient and reliable operation and comes with a limited lifetime warranty. 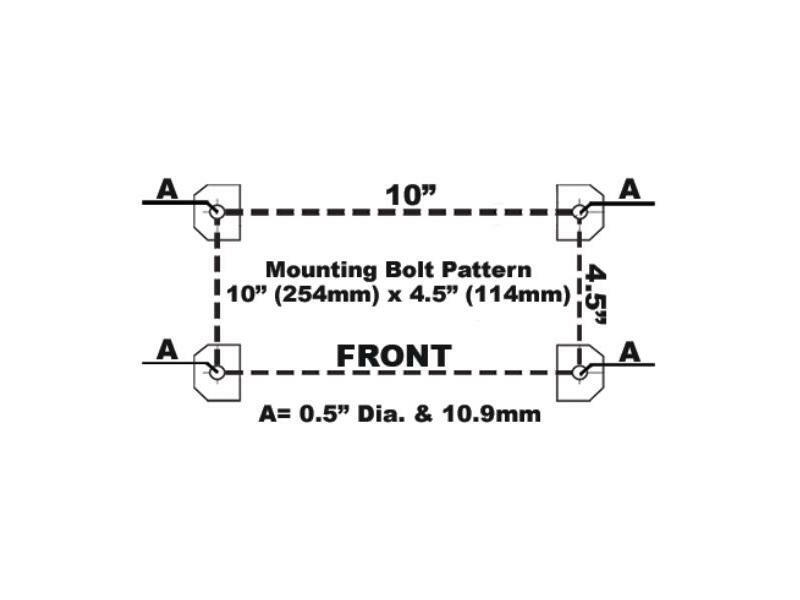 Mounting Bolt Pattern 10" x 4-1/2"
Power "IN" and Power "OUT"
Heavy duty 4-way roller fairlead. Circuit breaker protected. 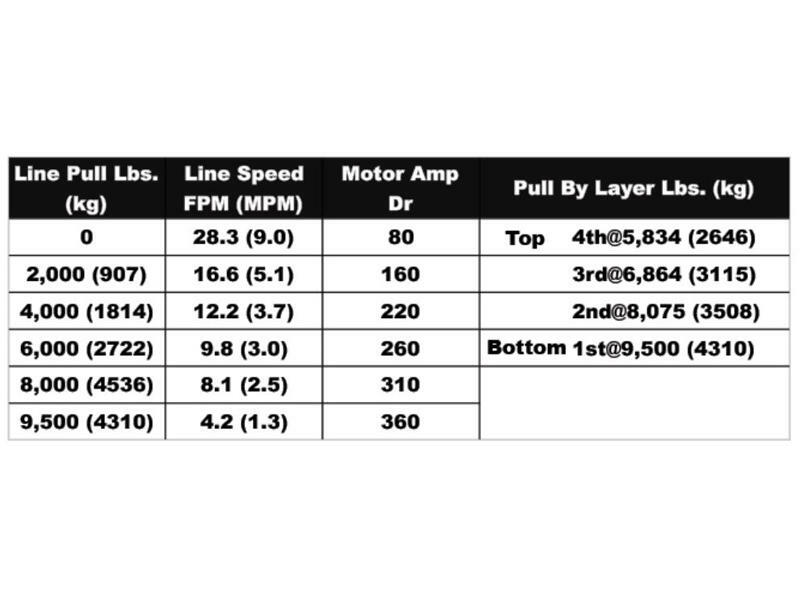 Battery leads - 2 Ga. x 6 ft.